Organic granola with a taste of the tropics. 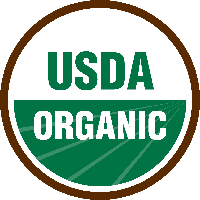 USDA organic products have strict production and labeling requirements. Organic products must be overseen by a USDA National Organic Program-authorized certifying agent, following all USDA organic regulations. QAI (Quality Assurance International) is a leading USDA-accredited organic product certifying agency. Founded in San Diego, California in 1989, QAI has been an active leader in the organic industry, advocating for high integrity organic regulations since its beginning. QAI is committed to ensuring organic integrity at every link in the organic production chain and providing excellent customer service, domestically and internationally.